The idyllic five-star Maradiva Villas Resort & Spa unveils a unique holiday experience with private villa settings and an exclusive service. Stretching over 27 acres with a 750m pristine beach, Maradiva Villas Resort & Spa is a perfect hideaway for romantic holidays and a source for well-being and rejuvenation. With fantastic views of the ocean and mountains afar, its exclusively private villa environment ensures an experience that is discreet and unique to each guest. The resort is located on the West Coast, overlooking Tamarin Bay. Maradiva Villas Resort & Spa is a five-minute drive from Flic en Flac. 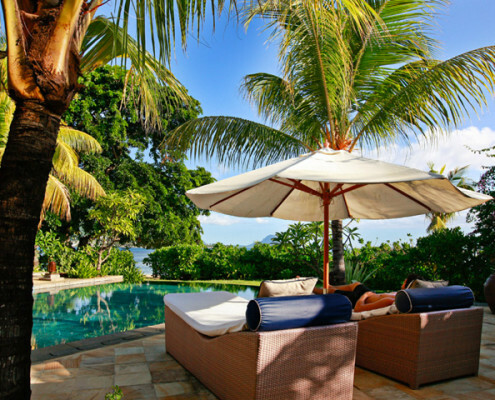 The all-villa Maradiva Villas Resort & Spa is set in luxurious tropical gardens in a natural and quiet setting offering privacy and tranquillity to all guests. Staying in the intimate harmony of their own private air- conditioned Villas, a 24 hour butler service is available to cater for all needs. 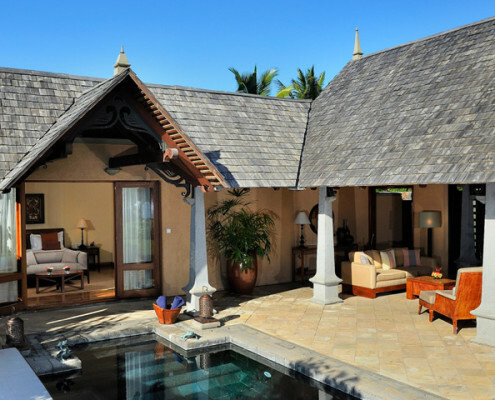 A selection of spacious Suite Villas, each with a private terrace, garden and plunge or infinity pool, offers a view over the lush gardens or the turquoise waters of the Indian Ocean. 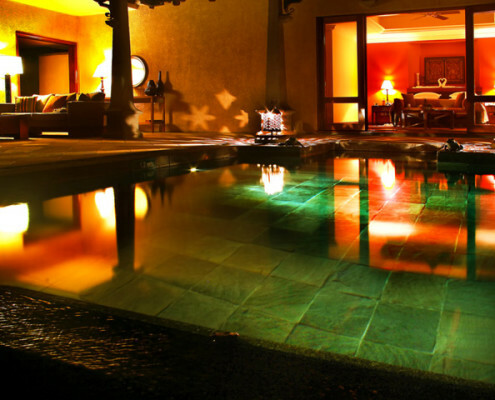 Ideal for couples or families, each Villa is tastefully furnished and equipped. Facilities in the Villas include bathroom, indoor and outdoor garden showers, LCD TV with DVD/CD system, complimentary WiFi, private terrace and walk in wardrobe. A number of Villas have direct beach access. The epitome of discrete refinement, the Maradiva Resort & Spa Presidential Suite Villas offer some of the most luxurious accommodation on the island. Exclusively set at the heart of the resort’s crescent beach, the Presidential Suite Villas offer a luxurious and peaceful cocoon, sheltered by lush exotic gardens with unrivalled views of the ocean. 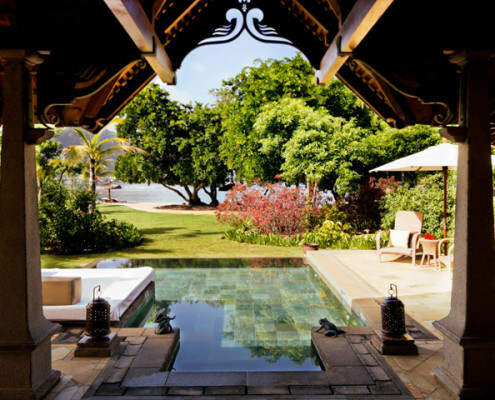 The Villas have direct access to the beach. Guests looking for the ultimate peaceful hideaway can enjoy fine dining and many Spa services in the privacy of their own Villa. Whether you are looking for an intimate setting or out-of-ordinary culinary experience, Maradiva Villas Resort & Spa offers a choice of dining options and a rich diversity of cuisine. Our Coast2Coast all-day restaurant serves Mediterranean, Mauritian and International cuisine in a relaxed atmosphere with live music during dinner. The Coast2Coast offers an ever- changing à la carte menu and themed menus in the evening. 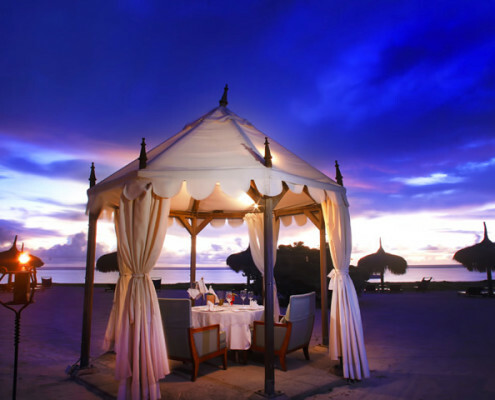 The terrace and white sandy beach offers wonderful views of the sunset over the ocean. Enjoy live Indian instrumental music over dinner at the speciality Cilantro à la carte restaurant. Cilantro offers Indian fine dining and a vibrant Teppanyaki counter. Sample pre- and post-dinner drinks in the comfortable ambience of the lounge. Breakers Bar conveys a contemporary yet intimate feel in a comfortable open terrace setting next to the beach and the main infinity-edge swimming pool. The Breakers Bar offers a fine selection of wine, international spirits and light meals and features live entertainment every evening. Swimming pool, Fitness/Sports Centre, Aqua gym, bicycles, golf, table tennis, tennis, pedal boats, kayaks, Hobie cats, glass bottom boat, snorkelling trips, water skiing, windsurfing, Laser sailing, speed boat trips, deep sea fishing and Catamaran cruises. The Peter Pan Kids Club welcomes children aged from 4 to 12 with a huge range of activities and toys. Our trained and friendly playground staff will entertain and look after your children whenever you want. The club has a playground area, a safe shallow pool, sand pit, toy room, bathrooms, kitchen and a perfectly child-sized dining area. We also offer babysitting services for the smaller ones. Guests at Maradiva Villas Resort & Spa seeking spiritual serenity, mental balance and physical wellbeing will be pampered at our holistic spa which is at the core of the Maradiva experience. An extensive range of western and Indian signature treatments including Ayurvedic applications, Yoga, body scrubs and wraps, essential oils, massage including head and foot are available to rejuvenate both body and mind. Spa facilities include men’s and women’s change and shower facilities, complimentary robes, slippers, towels and personal amenities, communal wet areas with a Sauna, Laconium, Hammam, Chill pool, hydrotherapy cascade pool, outdoor shower, Ayurveda treatment rooms, Jacuzzi and private garden for after-massage relaxation. 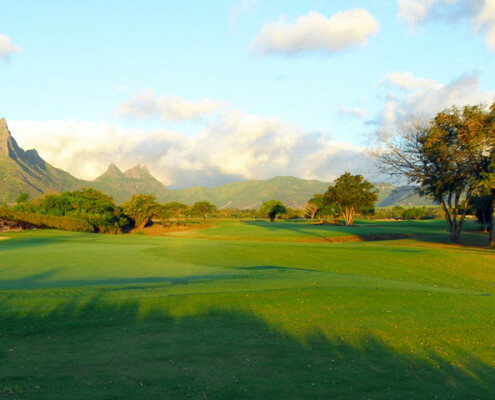 Mauritius is one of the world’s premier golfing destinations. Tamarina, the closest course, is just a 15-minute drive with a daily shuttle service back and forth from Maradiva Villas Resort & Spa. 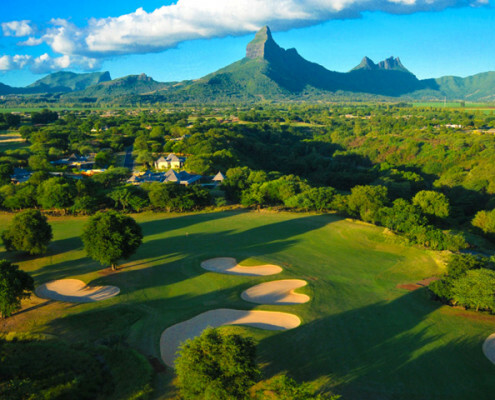 This magnificent 6800m 18-hole Par 72 Championship course is spread over 43 hectares of savannah with breath-taking views of Rempart Mountain and Tamarin Bay. A beautiful modern clubhouse with a practice range, GPS equipped golf carts, rental of equipment, video coaching and on course refreshments make Tamarina a world-class facility. 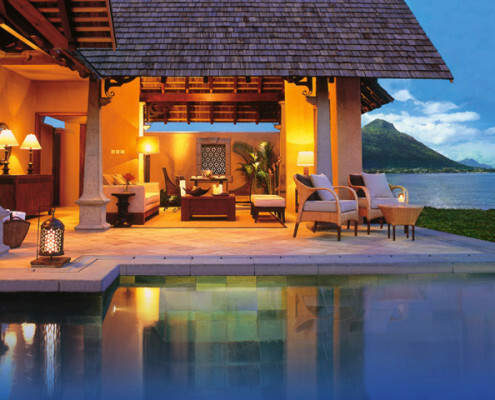 Mauritius has become one of the most exclusive wedding and honeymoon destinations in the world, with the Maradiva Villas Resort & Spa cocooned Villas perfect for newly-weds and honeymoon couples. Our specialist team will assist with details and arrangements to ensure an enjoyable event.